Crisp, clean mountain air and the crunch of pristine powdery snow beneath your feet – there is so much excitement in the European and North American ski resorts right now. And what’s more, many resorts are even holding ski festivals! You don’t have to be a skier to enjoy a ski festival – you can go and love it for its fabulous music, raucous comedy and sumptuous food! The On the Piste Team suggests some destinations in the quest for seasonal fun! If you are a foodie and after Michelin-starred meals at reasonable prices, then head to the resort of Alta Badia in northern Italy this year! This special festival held annually in January is famed for its excellent hospitality and award-winning cuisine but without the price tag. Whether you are after cookery lessons, gala dinners, parties, brunches or skiing, this festival has it all! Gourmet cooking with some of the world's best chefs as well as sport, fun and team spirit; how can you decline? Even if you can only make a long weekend, it’s well worth delaying that New Year diet until after a visit here! Stick this great winter festival in your ski calendar. Set in one of the Alps’ most prestigious resorts, the Momentum Festival is great fun not only for ski enthusiasts but for anyone who is after world class entertainment including comedy acts, musical talents and even celebrity appearances! Acts confirmed for 2012 include radio and TV favourite Marcus Brigstocke, Rufus Hound and The Wanted. 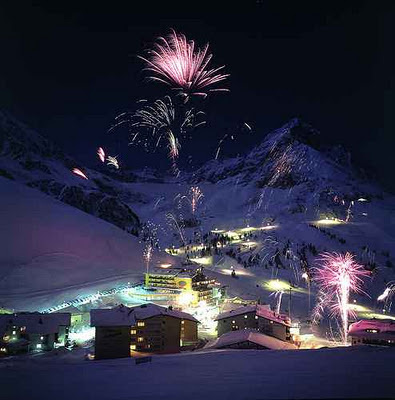 Also, after 12 years in Courmayeur, the City Ski Championships will move to this location for the first time. A short break here is a great way to round off the season! This fabulous annual jazz festival has developed into an international gathering with over 40 dinner concerts in a week and a line up of international stars you would swoon for! It has become one of the most popular music events in France and the great mountain setting makes it even more appealing. Enjoy skiing and music amongst the prettiest panoramas of the Alps! The 17th annual TELUS World Ski & Snowboard festival in April is guaranteed to be great fun for everyone! The 10 day festival, in this world-renowned Canadian resort, hosts ski competitions, film showings, fashion shows, live concerts and extreme partying. It is also home to the biggest free outdoor concert series in North America! This is a true celebration of snow sports, music, arts and mountain life all in one place – miss it at your peril! If you want to experience a mountain shake with laughter, the entertainment at the Altitude Festival is second to none! Some of the biggest comedians take over this fabulous Austrian resort over 6 nights for a veritable comedic avalanche. Curated by Andrew Maxwell, the 2012 line-up features TV heavyweight Jimmy Carr, everyone’s favourite pub landlord Al Murray, Australian musical minstrel Tim Minchin and Police Academy beatboxer Michael Winslow! Comedy is combined with brilliant restaurants, gorgeous spas and a fabulous ski area; what more could you ask for? Whether it’s with a group of friends, a romantic white break or a fun family occasion, the festival has something to suit everyone. Truly sparkling après ski!